Our attorneys are experienced in handling cases involving appellate matters, commercial litigation, employment, healthcare / medical malpractice, oil and gas, premises liability, products liability, professional liability, and transportation litigation, and rapid response emergencies. Our attorneys are actively involved in multiple professional organizations, including the American College of Trial Lawyers, the Texas Association of Defense Counsel, the International Association of Defense Counsel, various committees and sections of the State Bar of Texas, the American Board of Trial Advocates, the Amarillo Area Bar Association, and the Amarillo Young Lawyers Association. Our attorneys are frequent speakers at continuing legal education events. RINEY & MAYFIELD attorneys are also active in numerous civic organizations in the Amarillo area. Our attorneys have extensive experience representing hospitals, physicians, nurses, blood banks, and manufacturers of pharmaceutical products. We have also been involved in medical peer review proceedings, including medical staff hearings and litigation arising out of action taken in medical peer review proceedings. 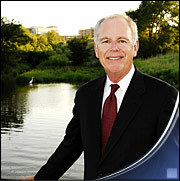 Mr. Riney has practiced civil trial law in Amarillo for over 40 years. He is board certified in Civil Trial Law (Texas Board of Legal Specialization) and a Fellow of the American College of Trial Lawyers. His practice includes general civil litigation, commercial litigation, professional liability, products liability, healthcare related litigation and arbitration. Tom was named as one of the "Top 100 Lawyers" in Texas for the ninth time in 2017 by Super Lawyers (Thomson Reuters) and has been selected for inclusion in a "The Best Lawyers in America" (Woodward White, Inc.). He was also named "Outstanding Defense Bar Leader in the Country" by Defense Research Institute. A profile by the Texas Lawyer (American Lawyer Media) on the practice of law in Amarillo reported its survey of lawyers in Amarillo indicated Tom was the defense lawyer to call for a bet the company case and is considered "very tough, thorough and always well prepared." A frequent author and lecturer, Tom has given nearly 100 presentations to lawyers on civil trial matters in continuing legal education seminars. Tom has been married to his wife Sandy for 45 years. They have two sons and six grandchildren. Tom has been active in the Amarillo community having served as President of the Amarillo area council of the Boy Scouts of America, President of the Downtown Kiwanis Club, President of the Coffee Memorial Blood Center, Chair of the Board of Governors of Northwest Texas Healthcare System, and has served on the Board of Directors of Catholic Family Service.